Synergy’s best-selling product is coming to you FREE today with every $150 purchase made over the phone. Choose a box of 30 Mixed Berry, Citrus Berry, Grape or even ACTIVE single-serving packets, but remember: phone lines open at 8:30 AM, and close today at 5 PM. Don’t miss this special offer– call 801-769-7800. Our friendly agents will be standing by! 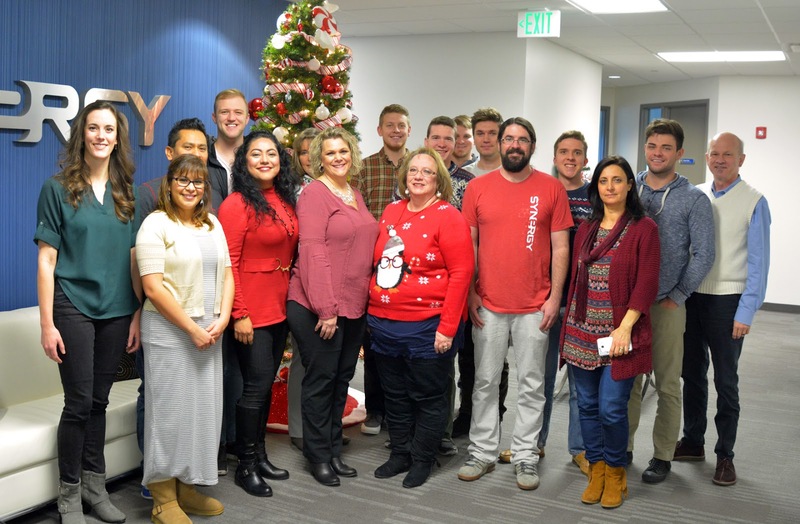 Happy Holidays from all of us at Synergy WorldWide Customer Service. We hope that during this holiday season you are able to enjoy time with family and friends as you bring in the New Year! Please be sure to take these closures into account as you contact Customer Service to make any necessary orders in the coming weeks. Thank you for your understanding. We wish you all the best over this holiday season! Start the new year with an effective-yet-gentle cleanse, and a steady supply of delicious meal replacement shakes to kick start a more fit and healthy 2017! You can click to learn more about SLMsmart Body Cleanse and SLMsmart Health Shake, but remember, this week’s flash sale savings are for orders made over-the-phone only. Our friendly agents will be standing by starting at 8:30 a.m. today and tomorrow! This Flash Sale goes live from 8:30 to 5:30 today, and our friendly agents will be standing by (remember, this week’s flash sales are for over-the-phone orders only). Enjoy the savings! If you were unable to attend the Elite Honors Webinar Series on Wednesday, click the video above to learn more about all the exciting new updates coming to the Elite Honors and Go Elite programs for 2017! Ready to rake in the holiday savings? Synergy North America will be hosting DAILY FLASH-SALE SPECIALS next week, from Monday, December 19 through Friday the 23rd. NOTE: These offers will not be available online. Instead, all flash sale orders will be taken by phone. Customer service hours are from 8:30 a.m. to 5:30 p.m. MST so place your order during those hours to take advantage of these great offers! Specials will go live at 8 a.m. each morning! Happy Holidays from all of us at Synergy and best wishes for an incredible new year! The year is coming to a close and Synergy is looking forward to an exciting new year! Come join the North America General Manager, Shane Greer, on Wednesday, December 14th for a special webinar discussing our modifications and enhancements to the Elite Honors program and the Go Elite Bonus for 2017. This webinar will begin at 7pm MST and will bring our Team Members in North America up to date on all the updated programs and promotions that Synergy will be offering. To register, click the button below and fill out the necessary information. After registering, you will receive a confirmation email containing instructions and more information. Congratulations to the November 2016 qualifiers!